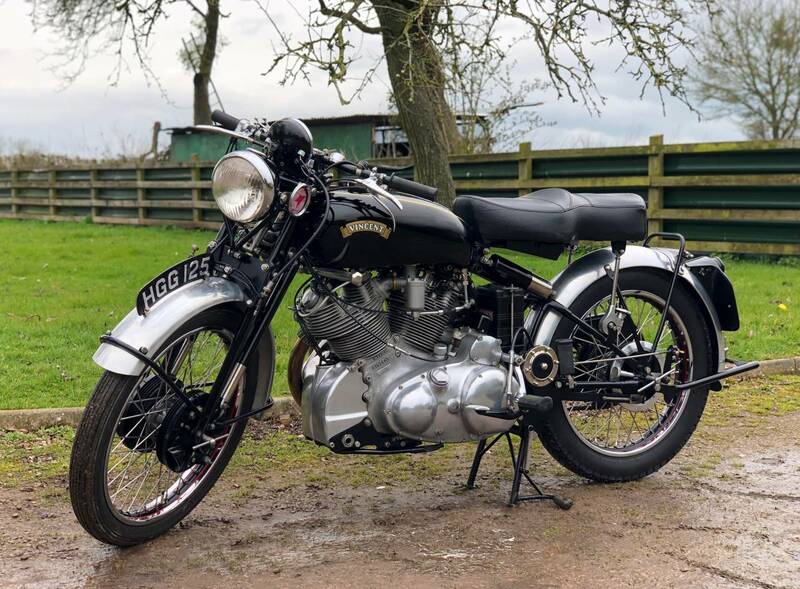 Vincent Rapide Series C 1950 . Historic And Immaculate . Not Dissimilar To A New Machine . Known History From Birth . Previously Owned By The Famous Vincent Guru... E.M.G.Stevens , The Author Of " Know Thy Beast ". His Name Appears , In The Buff Log Book , Along With That Of , The First Owner ; Billy Galloway ; The Famous Tearaway Australian Speedway Rider ; Who Brought Speedway To The UK , With Keith Mackay. 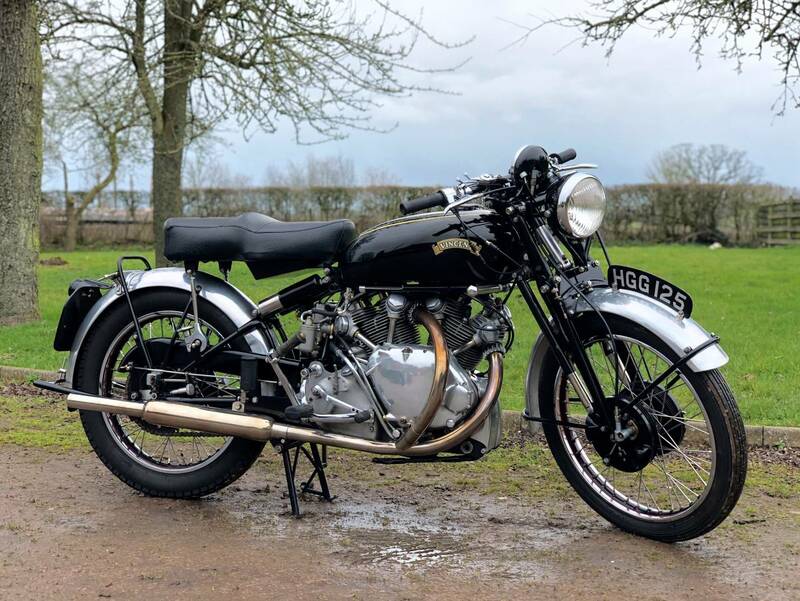 It Was Bought By The Previous Owner , As An Original Machine , With Upgrades Of Lightning Brakes And Shadow Speedo , As Itemised On The Vincent Factory Build Sheet ; As Specified By Billy Galloway . It Was Then Totally Dismantled For A No Expense Spared Nut And Bolt Restoration , By A Well Known Vincent Restorer ; Articles Of His Workmanship Come With It , Together With A Log Of The Work Undertaken And Photos Taken During The Rebuild .The Restoration Was Completed Early In 2015 And Its Now Covered 790 Faultless , Careful , Running In Miles And Only Sold On To Us , As The Last Owners Arthritis , Meant It Was Too Painful To Continue To Ride It . Comes With All Correct Frame Numbers ; Paired Crankcase Halves ; Original Registration Number ; Vincent Owners Club Authenticity Certificate ; Original Copy Of The Factory Build Sheet ; Old Buff Log Book ; Current V5C ; A Copy Of " Know Thy Beast " And Very Easy To Use Role On Centre Stand .It Starts Easily And Settles To An Even Tickover , With A Sweet Running Engine And Rides Faultlessly , With Everything Working Well ; Like A New Machine. Continued , Final Running In Is Advised , As This Wonderful Machine Has Had Many Hundreds Of Hours , Lavished On Its Restoration . 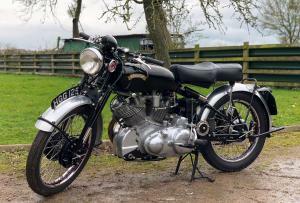 This Is An Iconic Machine , With Impeccable Provenance , From New , With Famous , Vincent And Other Motorcycle Related Owners . Photos Can't Convey What It Looks And Sounds Like " In The Flesh ". Slight Leak In Tank Hence Price Reduced! Bargain! Flexible Finance available with no money down!